Roy Dotrice, OBE is a British actor known for his Tony Award-winning Broadway performance in the revival of A Moon for the Misbegotten. Dotrice was born in Guernsey, one of the Channel Islands, the son of Neva (née Wilton) and Louis Dotrice. He served with the Royal Air Force from 1940 to 1945 during World War II, and was imprisoned in a German POW camp from 1942 to 1945. He was married to Kay Newman from 1947 until her death in 2007, and they had three children together: Michele, Yvette and Karen, all of whom acted at various points in their careers. He was also the father-in-law to the late Edward Woodward, a contemporary of his and husband to his daughter Michele. Dotrice notably played the part of John Aubrey in Brief Lives, a one-man tour de force where he was on stage for more than two and a half hours, including the interval when he pretended to sleep. The play premiered in 1967 at the Hampstead Theatre in London. It subsequently had two Broadway engagements and transferred in 1968 to the West End’s Criterion Theatre where it played 400 performances before moving to the Mayfair Theatre. 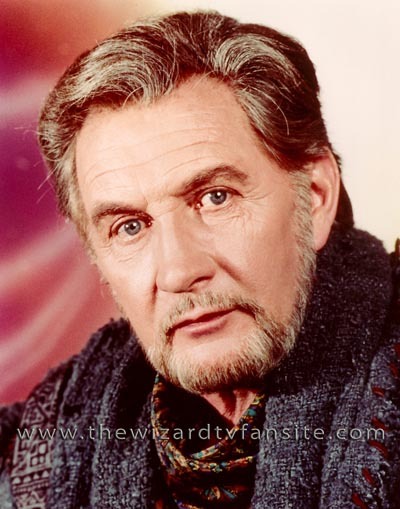 Those runs combined with extensive international touring earned Dotrice a place in the Guinness Book of Records for the greatest number of solo performances . In 1984 he starred opposite Rosemary Harris in an acclaimed all-star cast production of Noel Coward's Hay Fever. In the 1970s he played, to great acclaim, the role of Charles Dickens in the miniseries Dickens of London which was presented in the United States as a thirteen part series on Masterpiece Theatre. He is arguably best known to North American audiences for playing the role of "Father" in the 1980s hit TV series, Beauty and the Beast, though his acting career dates back to 1945, in a revue called Back Home, performed by ex-prisoners of war, in aid of the Red Cross, after which he played in a number of repertory theatres. He appeared on BBC television in 1971 as Albert Haddock, in the televised version of A.P. Herbert's "Misleading Cases", a satire on the British legal system, also starring Alastair Sim as the Judge as well as playing Leopold Mozart in the 1984 film Amadeus. In 1982, BBC Radio 4 broadcast Roy Dotrice's reading of fellow-Guernseyman, G.B. Edwards' classic novel, The Book of Ebenezer le Page, in twenty-eight, 15-minute episodes on Woman's Hour. The producer of this programme subsequently wrote that this serialization was: "without question, the most popular serial I have ever done in the five hundred or so I have produced in the last twenty-one years..." He subsequently performed "The Islander", a stage version of The Book of Ebenezer le Page to great critical success at the Theatre Royal Lincoln. He is also known to fans of the Buffyverse in the role of Roger Wyndam-Pryce, the overbearing father of Wesley Wyndam-Pryce. Another science fiction role was Commissioner Simmons in two episodes of season 1 of Space: 1999. He played Father Gary Barrett in the TV series Picket Fences from 1993-1996. In 1998, Dotrice appeared in three episodes of the cult television show Hercules: The Legendary Journeys as Zeus, King of the Greek gods and father of Hercules, played by Kevin Sorbo. He was appointed Officer of the Order of the British Empire in the 2008 New Year Honours. He played on tour in February 2008 in a revival of Brief Lives and appeared in the stage production of Irving Berlin's White Christmas at the Lowry Theatre, Salford from 27 November 2009 to 9 January 2010. In June 2010, it was confirmed that Roy Dotrice would be playing the role of Grand Maester Pycelle in the HBO series Game of Thrones, an adaptation of George R. R. Martin's book series, A Song of Ice and Fire. Dotrice had previously recorded the audio versions of the first three books in the series and worked with Martin on Beauty and the Beast. However, Dotrice later had to withdraw from the show for medical reasons, and Julian Glover was cast in his place. Dotrice's relationship with the series didn't end there, though; shortly after filming for the second season began, it was confirmed that he would be playing Pyromancer Hallyne. Whole or part of the information contained in this card come from the Wikipedia article "Roy Dotrice", licensed under CC-BY-SA full list of contributors here.